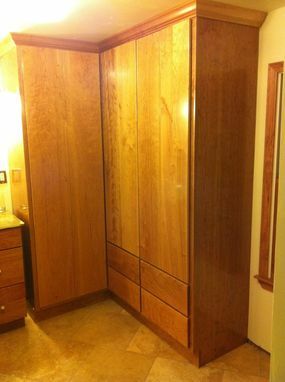 This was designed at the request of the customer to fill an empty space in the corner of their bathroom. 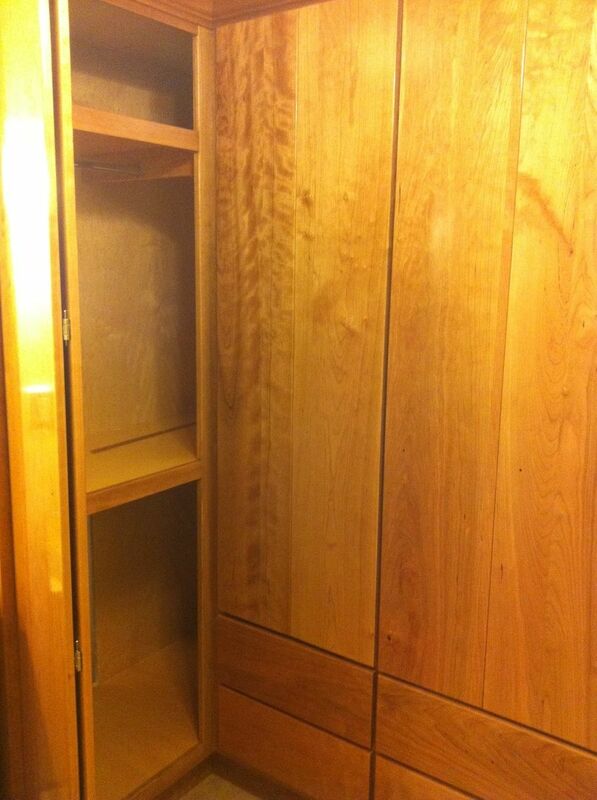 They had 2 requests, 1 it had to match their current vanity, and 2 it had to be all usable space. So I designed a full length L shaped unit. It's difficult to see from the pictures, but each side of the unit is open to the other, to create total usable space all the way into the corner that can be reached from both sides. 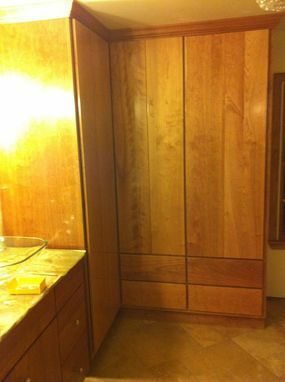 This is a large closet that spans 4 feet in each direction and features solid cherry bifold doors and solid cherry drawer fronts. The doors are bifold doors to reduce the swing radius and lessen the intrusion of the door swinging into the room. I recessed magnets into the doors to hold them into the open and/or closed positions. 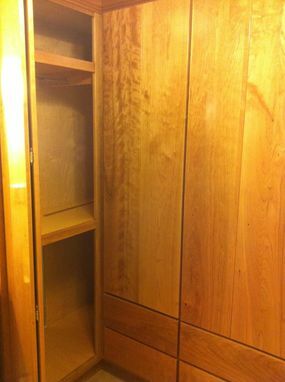 The drawers feature full access and soft closing glides with dovetailed boxes and solid cherry fronts. The coset boxes are made of birch face plywood and cherry face plywood. 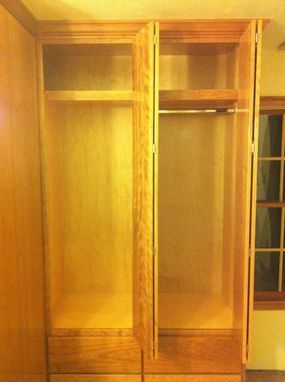 Due to the potential of moisture, this unit was finished several coats of an oil based urethane.